situated right within murramang national park, pebbly beach is one of many stunningly beautiful beaches in new south wales’ south coast. just after tasting the most wonderful meat pies ever (they were “award-winning”, after all), we took a short detour from the main route for some beach time, and found ourselves on pebbly beach which, most notably, featured a distinct absence of pebbles. it’s a beautiful beach, complete with natural dune vegetation and miniature rock pools at both ends. well worth spending a few hours! 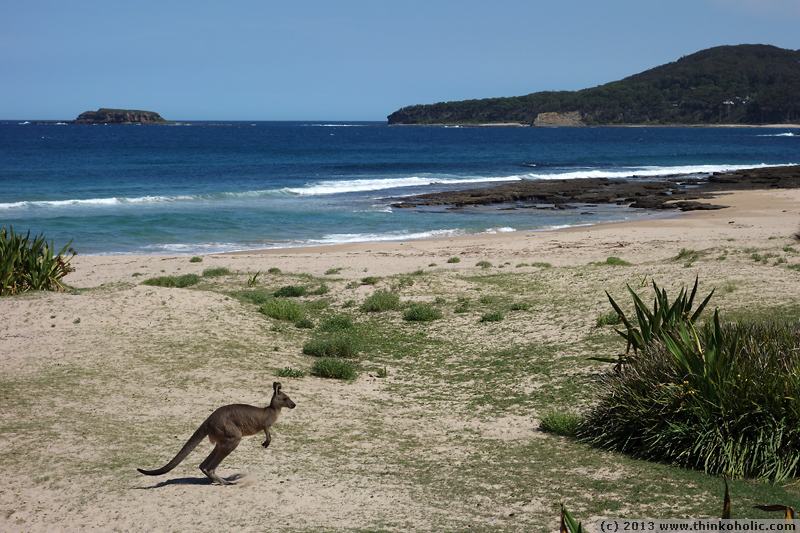 it’s also where we had our first encounter with kangaroos right on the beach, hopping around, grazing, and apparently just having a good time.